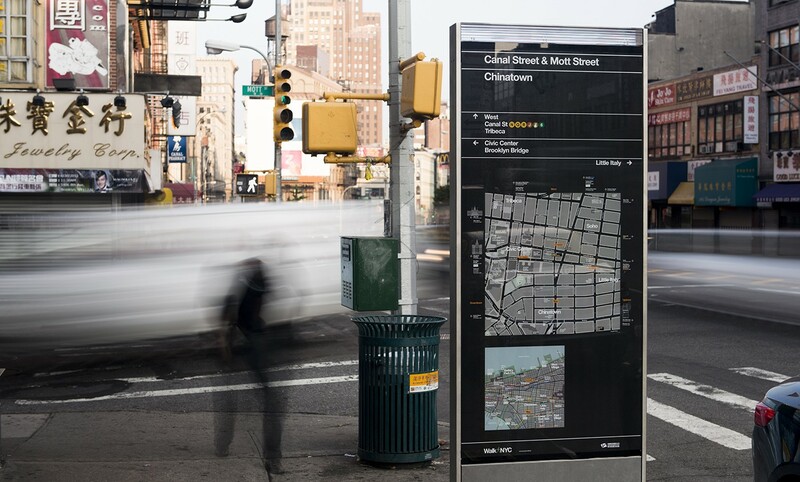 As special advisor to PentaCityGroup, Turnstone’s founder led fieldwork for the team designing NYC Department of Transportation (DoT)’s award-winning wayfinding system for New York’s pedestrians, bicyclists, bus riders and visitors. 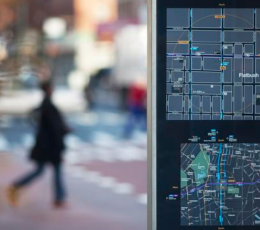 In 2011, the New York City Department of Transportation (DOT) awarded the contract to design New York’s first official, digital base map and integrated wayfinding system to design consortium, PentaCityGroup (PCG). 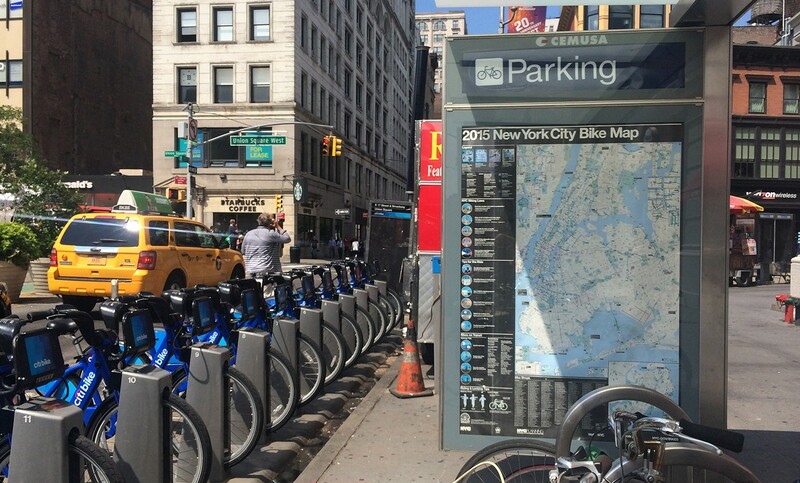 The primary goal was to fulfil the aims of Mayor Bloomberg’s PlanNYC, to make the city more legible and economically accessible to locals and visitors, to keep New York competitive among other global cities. 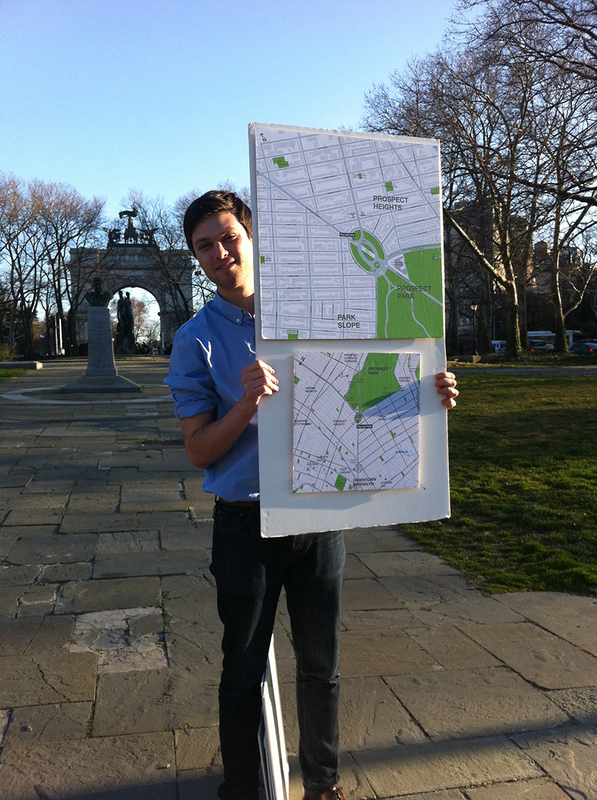 The first phase would take less than a year, from kickoff in 2012 to first installation in spring 2013. PentaCityGroup was set up as a joint venture of five design firms (City ID, Pentagram, T-Kartor, Billings Jackson, RBA). 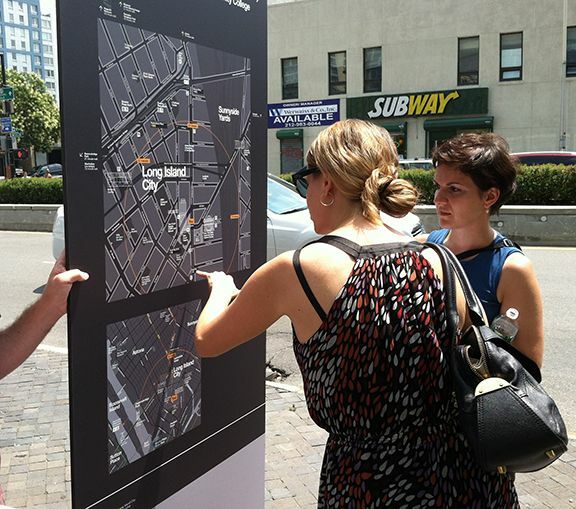 For three quarters of 2012, Turnstone joined the team as special advisor to the project, working alongside City ID, the urban strategists behind Legible London and other significant, international urban mapping projects. 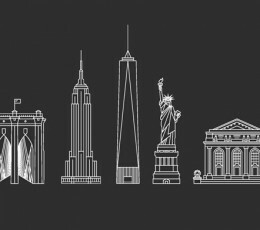 Pentagram provided graphic design, T-Kartor GIS cartography, Bilings Jackson industrial design, RBA project management and engineering support. 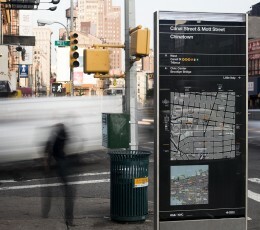 At first, we developed the digital cartographic content first for deployment across a range of integrated, static and dynamic wayfinding products, for pedestrians (Walk NYC) and bikers (Citibike bike share), and in later phases, PCG extended it for mass transit passengers (Select Bus) and for other information products and specific locations. – Developing content governance – defining which details do and don’t appear on the base map and/or on any product cut from the base. 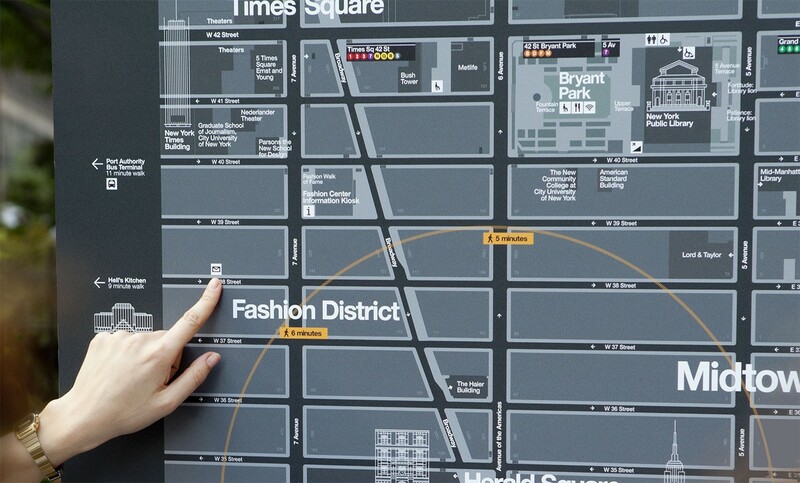 The first pedestrian wayfinding signs were installed in Chinatown, Manhattan and in Prospect Heights/Crown Heights, Brooklyn, with more following in and around Times Square and midtown. 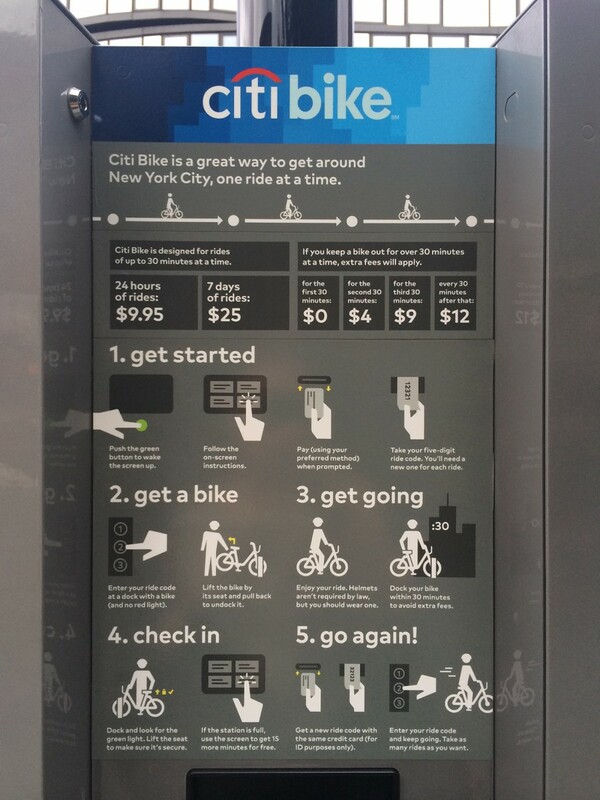 With the addition of green bike lanes, the base map was adapted for use on the bike share docking station kiosks, and subsequently, for the DOT’s official foldout bike map. 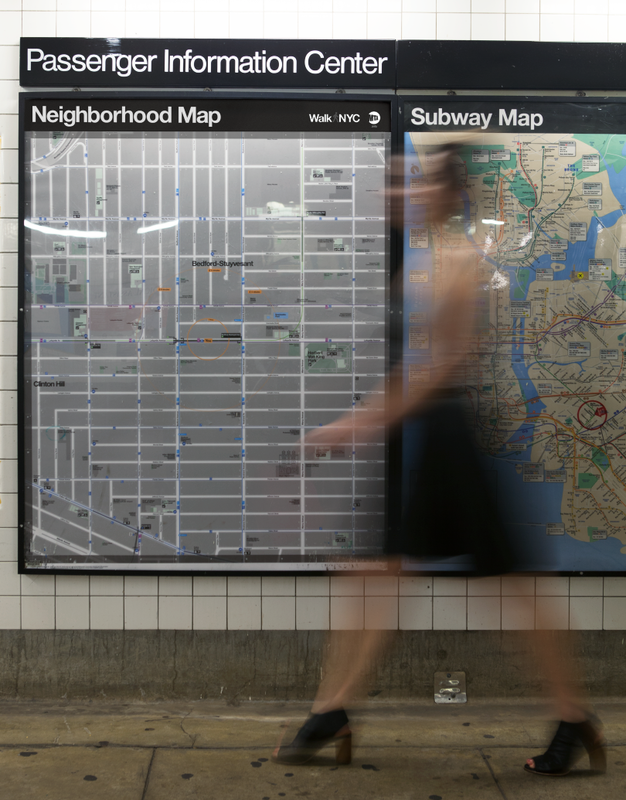 Since Turnstone’s 2012 strategic work with PCG, they have gone on to apply the basemap along express bus routes in Manhattan, Brooklyn and the Bronx (on dynamic signs displaying real-time bus information) for DOT, on subway station street finders for New York City Transit and to guides for Prospect Park too. 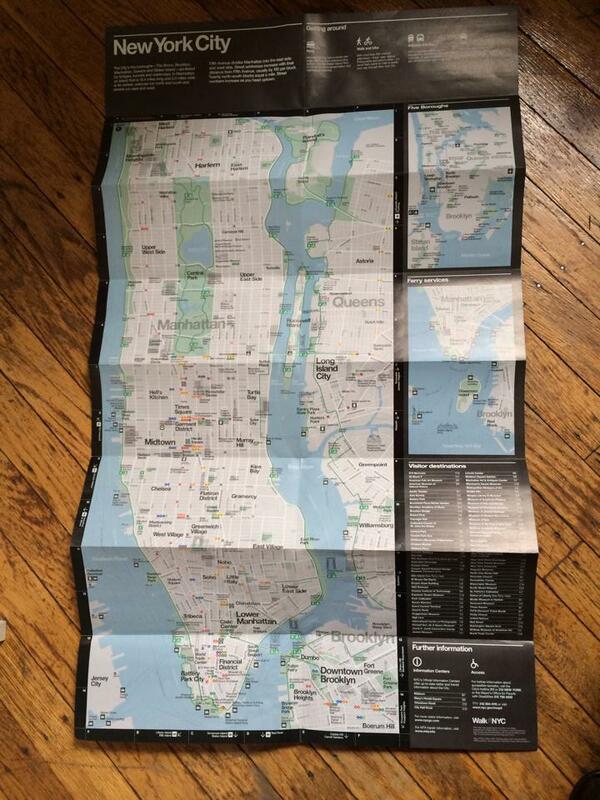 Since 2013, NYC&Co has adopted the base map for the official foldout print map for tourists. Taxis are the only mode of NYC mass transit that don’t (yet) feature this integral piece of New York information design. The project has won numerous prestigious awards from notable professional organizations, including a D&AD Pencil, International Institute of Information Design (Gold) Society of Environmental Graphic Design (Silver), IDEA Award from the Industrial Design Society of America (IDEA Silver), Fast Company and others. It was also featured in the Creative Review Annual. Michael Bierut, Tracey Cameron, Hamish Smyth, Jesse Reed, Tamara McKenna. David Figueroa, Charu Kukreja, Wendy Bell, Kathryn Green, Rich Perkins, Jeff Vonderheide, Hanna Lindahl, Thilda Garö and Matthew Archer. Jackson Wandres, Chris Lucas, Klaus Weidemann and Kevin Ballantyne. Duncan Jackson, Eoin Billings, Paul Leonard, Aidan Jamison, Dale Newton and Simon Kristak.